The Redken Artist Network is a group of individuals with specialized talents that offer advanced training to salon professionals. Redken Artists help people develop their skills and reach their highest potential. We’re always looking for people who share our passion and enthusiasm for helping others grow. 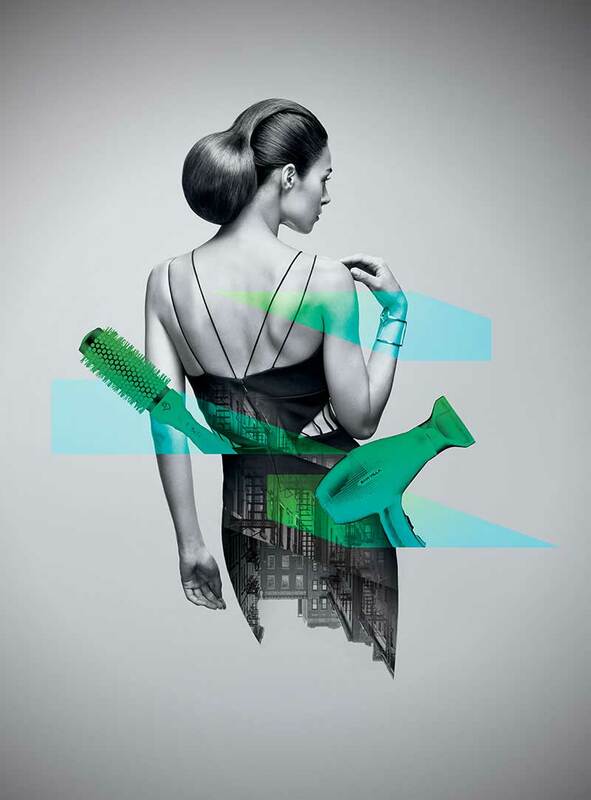 Your next step is to become a Redken Artist. If you’re ready to take the next step in your career as a stylist, complete the application by May 1st, 2019 for consideration in 2019. • After completing Artist Induction, you will have a deep understanding of Redken principles, products, techniques and our Learner Focused approach to training. • Opportunities to grow within the network include gaining skills to facilitate demo classes and workshops, and teaching on a main stage. • Personal development, continued professional growth and the ability to make more money behind the chair. • Redken Artists worldwide say the reason they’re in the network is because they love to help people develop their skills to reach their highest potential. Redken Artists carry an enthusiasm that’s so contagious, people often wonder where it comes from. Being a Redken Artist has changed almost everything in my life. My skills as a stylist have improved, and I’ve gained a deeper understanding of chemistry and the effects products have on hair. What’s surprising is the impact on my personal life. Being a Redken artist challenges me to constantly improve myself and my communication skills, plus face new risks and goals with passion and confidence. Being a Redken Artist has made me a better me in every possible way. Becoming a Redken Artist has been and continues to be one of the greatest adventures of my career and life! Inducted in 2000, I had no idea what I was getting myself into. I later realized that it got into me. I feel like in my personal and professional life, I used to wear different hats. I learned how to work as a teammate and how to be a leader. You really learn over time that it's not how well we do hair—it's how we make people feel! I feel so blessed to represent Redken because, as technology and education and trends change, our commitment to be learner-focused never does. With that in mind, I feel so privileged to serve the craft by representing Redken. Becoming a Redken Artist was just the beginning. Little did I know it would impact my life the way it has. The opportunities as a Redken Artist have allowed me to create the life I imagined. Redken has brought me places I never thought were imaginable and has supported my path the whole way. I’m a true believer that if you work hard and keep your intentions pure, the universe will deliver. I truly understand the difference between a job and a career. I’m grateful for my experiences and look forward to what the future holds as I continue to grow with Redken. Learn Better. Earn Better. Live Better. When I became a Redken Artist everything changed! My journey of eight plus years has made me a better stylist and haircolorist—and it doesn't stop there. I’ve grown so much as an individual with communication skills, professionalism and personal grounding. It’s a serious game changer, and I look forward to many more amazing experiences around the world with this network of talented people! Making the decision early in my career to take class at the Redken Exchange was the best foot forward for me. I stepped onto the greatest stage and raised the bar for myself as a salon professional. I was introduced to the best education and inspired to pass that message on to others. 15 years later, it’s a true honor and privilege to educate, infuse, motivate and empower thousands of stylists around the globe in their professional and artistic development and growth. It’s tantamount to taking the Redken Exchange 5th Ave NYC “on the road” to their city, town and salon. Redken's philosophy is to earn a better living and live a better life, and being a Redken Artist continues to impact me. Go for it! Becoming a Redken Artist has allowed me to become the best version of me! I discovered Redken seven years into my career. I was working several jobs, was afraid to charge more for my services, relied on what I knew and had no vision for my future. Redken made me realize that if I focused on being the best I could be—while always striving for growth—my passion for hair could take me on a lifelong adventure. Through the education and experiences in my 27 years with Redken, my business and career continue to grow beyond my expectations. My ability to communicate with my guests and other salon professionals continues to evolve as I continue my journey. I have the honor of sharing my knowledge, experience and passion for our industry with others. I’ve been blessed with traveling the world and meeting with stylists, designers and haircolorists from all different cultures. The experiences, training, knowledge and growth all happened because of the day I took a challenge and became a Redken Artist! Tashi Deley, I honor your greatness! Being a Redken Artist has given me more than I could have ever dreamed. The people in my life, the growth I’ve experience and the constant drive to move forward no matter what is precious. I’m honored to call myself a Redken Artist. 11 years ago, I had no idea how life changing joining the Redken Artist Network would be. It was one of the best decisions I could have made as a young stylist. Surrounding myself with education, plus an acquired level of confidence, has made it possible to constantly evolve behind the chair and earn a great living. Trusting the process has allowed me so many opportunities to travel the world, connect with extraordinary people and inspire other hairdressers to love what they do. Redken has changed my life both personally and professionally through the vast array of training I’ve experienced, and by the unique individuals who make up our incomparable Redken family.